There are reports now of a Friday afternoon shooting (it's now 3:00 pm, just an hour before the onset of the Sabbath) at a pub in central Tel Aviv. The first moments after such dramatic news tend to be affected by speculation, but the indications are - for the moment - that this is a terror attack. 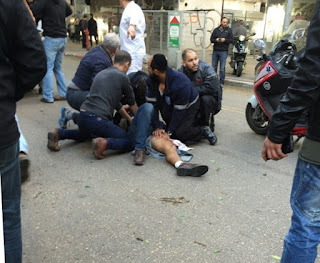 "One person has been killed and at least four others severely wounded in a in a shooting along Tel Aviv's Dizengoff Street. 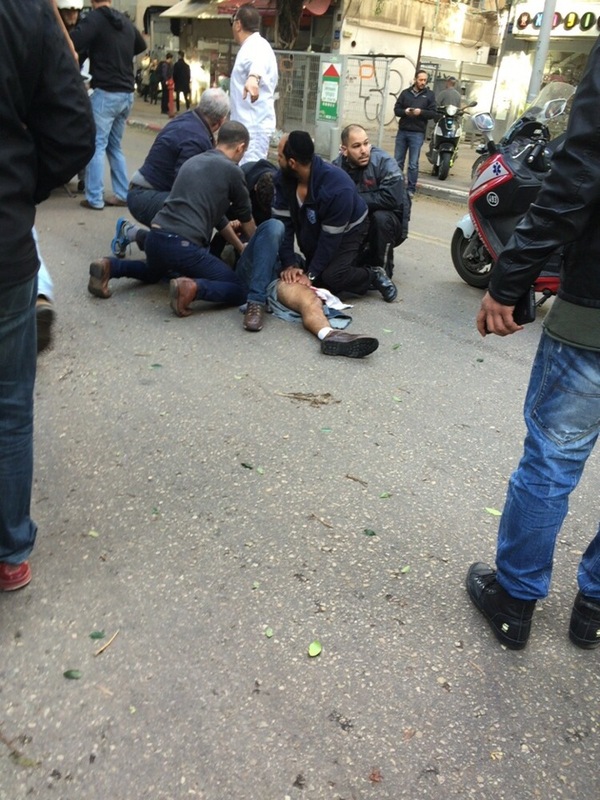 Magen David Adom paramedics at the scene are treating one critically injured person, along with three others in serious condition. The circumstances of the attack are not yet clear. According to initial reports the shooter has been "neutralized."" But other reports say there is a chase underway after the gunman. Haaretz says this is happening at the intersection of Gordon and Dizengoff. All the streets in the vicinity are now blocked as a search goes on for the shooter. Via Channel 2's live coverage, it appears (at 3:15 pm) that a suspect was apprehended, though it's too there were, naturally, doubts whether he is the shooter or related to the shooting. It's a very busy part of Israel's biggest city. The Channel 2 interviews indicate 10 injured including 4 in serious or critical condition, one dead. 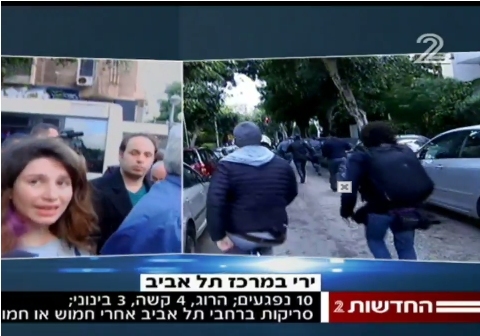 Everyone is being careful not to confirm that this was a terror attack, though there's agreement that an armed individual entered a pub and opened fire. 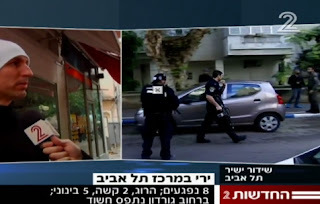 Despite reports (which are seeing) that the shooter is in the hands of the authorities, it seems clear (at 3:25 pm) he is not, and a full-scale police operation is underway in one of the cafe, bar and restaurant precincts of Tel Aviv, adjacent to the busy Dizengoff Mall, with armed personnel moving quickly with their weapons brandished. An interviewee describes seeing the shooter, acting methodically, holding and firing an M-16 automatic rifle. Screen capture at 3:30 pm Friday: Police in pursuit. The death of a second victim was just announced (3:33 pm). Concrete information remains in short supply. On the Arab side, the public reactions will cause little surprise. Click this link and see Arabic-language Tweets, many of which are referring at this hour, when no victims have been named, to Israeli settlers having been shot.